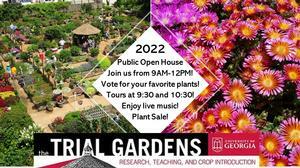 Public open house is an opportunity for all to come have their meet our garden staff and get an inside look at the trial gardens. Hokulia Shave Ice will be at the event selling cold treats, so mark your calendars and come out! Parking is available and free in all lots surrounding the garden.